If you’re here then you’ve already learned how to start a blog and you’ve probably established a blog name, purchased a URL, chosen WordPress as your blogging platform, and have an idea of what your blog’s main topic will be. Congratulations! 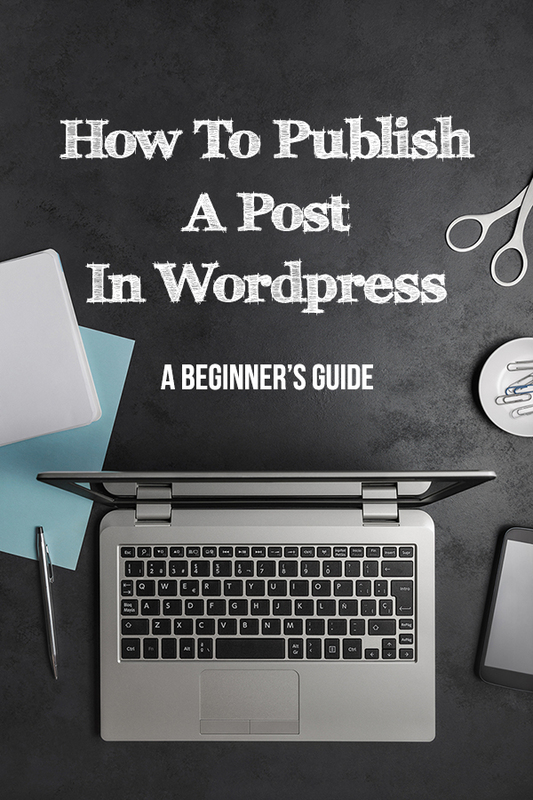 It’s time for you to learn how to publish a post in WordPress. 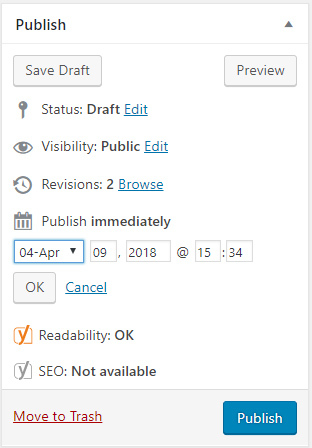 This quick guide for writing a WordPress blog post shows you step-by-step on how to create and publish a post in WordPress. In order to start writing a post for a WordPress blog, you need to log into the dashboard of your WordPress site and look for Posts in the menu on the left-side of the page. It’s indicated by a thumbtack symbol. Hover over Posts and choose the option for Add New. You’ll be redirected to a new page. The first thing you’ll see under the header Add New Post is a box with the text Enter title here. That’s exactly what you’ll do. Enter the title of your blog post. If you’re not sure what you’d like your title to be, you can always save this step for after you complete writing your post. Make sure to use descriptive keywords from your post in the title. After you type in your title and click Save Draft on the right-side of your screen, you’ll see the permalink appear. If you wait to type in your post’s title then the permalink will not appear until you click Save Draft. If you save your draft before you write your title, then your permalink may include random numbers instead of posts title that you’re used to seeing. You can click Edit next to the permalink to update it. Make sure it includes keywords and phrases from your post, so it can be easily found in search engines. For example, some keywords and phrases I’d use for this post would be how to publish a blog post in WordPress, writing a WordPress blog post, and even where is the publish button in WordPress. Next, you’re ready to add text into your post. You can either write your post in another program, such as MS Word, or you can write it directly into WordPress. I prefer to write in Word and then copy my text into WordPress. 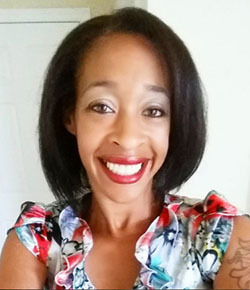 It was easier for me when I was learning how to publish a post in WordPress because this way spellcheck and grammar correcting was easier and I have a copy of my posts that I can save to my pc or directly into my Dropbox. Worst case scenario, if I ever forget to renew my URL or get locked out, I still have access to my post and can use them again. After your text is in the editor, it’s time to format your content in WordPress. Use headings with each post and once again, make sure the headings include keywords relevant to your post. The headings will precede the body of your post, but sometimes can come after the introduction. You’ll definitely want to add images to your blog post, whether you’re using your own or stock photos. Other media, such as video files, can be added into the content of your post as well. Adding media to WordPress blog posts is very easy. Make sure that your cursor is in your post where you’d like your media to appear. Start by clicking Add Media that is above the post editor. A box will pop up giving you the options Upload Files or Media Library. If you haven’t previously uploaded a file to the media library then choose Upload Files and select the file from your pc. Completely fill out the box on the right of the screen. 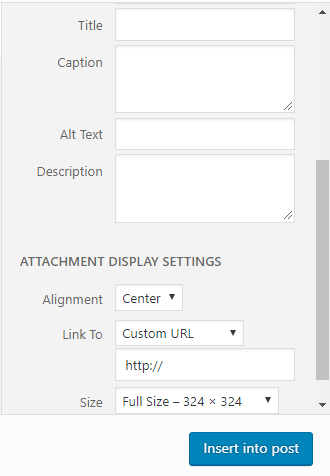 And you’ve guessed it, make sure that the description and alt text include keywords from your post. 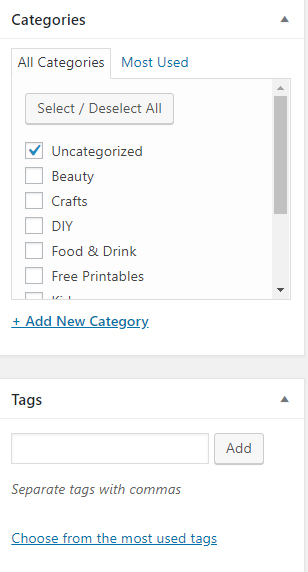 Once you save your draft, (I suggest saving your draft after each change) you can set your post categories, add tags, and set the featured image for your post. When all of that is complete, you can schedule your post for a future date or you can hit publish. 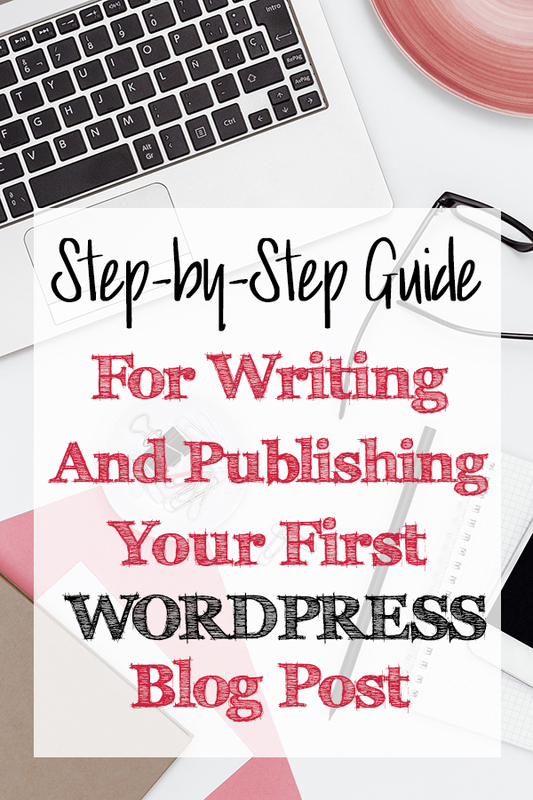 You’ve now officially published your first blog post. Now that you know how to write a post in WordPress and to publish it, what will you work on next? You can use this FREE customizable blog planner with over 90 pages to help you on your blogging journey. 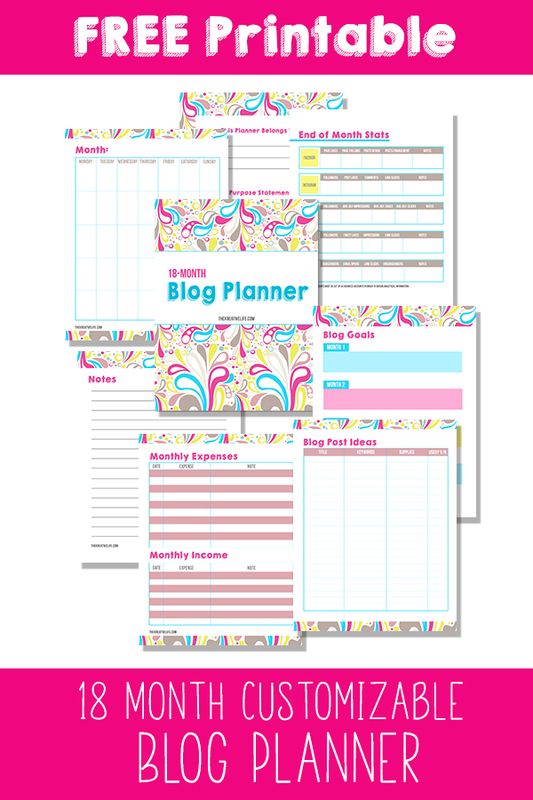 Just click the picture below to get your copy of the free blog planner now!